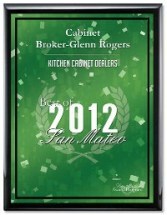 Owner, Glenn Rogers is proud to announce that The Cabinet Broker is celebrating 13 years of providing beautiful affordable cabinetry thoughout the San Francisco Bay area and ready to assemble cabinets Nationwide! We are proudly listed and BBB Accredited Business rating of A+ with zero claims in 12 years of business. We are also listed on Dun & Brad Street. 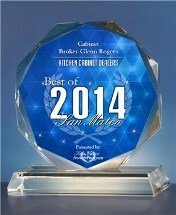 Glenn Rogers-Cabinet Broker has been selected for the 2015 Best of San Mateo Award in the Kitchen Cabinet Dealers category (Also awarded in 2012-2014). 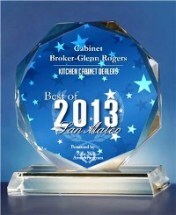 The Cabinet Broker searches out for the very best products at the best price. We also keep our overhead low so we can pass the savings on to you. Your satisfaction is our priority, and with your budget in mind we provide all estimates and invoices with a comprehensive detailed listing of all materials. All our cabinets feature plywood construction as standard, you never pay upgrade cost for plywood and we never use MDF, particle board, or furniture board. The Cabinet Broker, founder and owner, Glenn Rogers believes in investing in the community that has made The Cabinet Broker a success. If you wish to know more about our products and services do not hestiate to give me a call day or evening 7 days, past customer references are available upon request prior to placing your order. 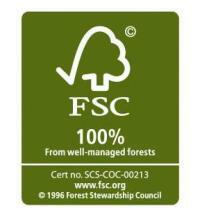 However, during the biding phase, as a courtesy to our clients, we unfortunately can not provide references. But take a look at Houzz & BBB reports.